For young people today, technology is pervasive in many aspects of life as they learn and play using computers and other technological devices, build and maintain friendships, and engage in innovative learning experiences and other creative activity. IDC 2011 continues the IDC tradition of exploring and expanding the landscape of interaction design and children to understand children’s needs and how to design for them by gathering the leading minds in the field of interaction design and children to present and discuss innovative research and exhibit the most recent developments in design and technology for young people. IDC 2011 would like to invite you to discuss the wide diversification of technology (e.g., ranging from computers to mobile phones to innovative uses of digital media, games, and other interactive technologies) for young people of different profiles, ages (very young children to adolescents) and psychological, social, and physical needs in different contexts (e.g., museums, classrooms, playgrounds, etc.). If you stepped out onto my balcony right now, you’d see your breath fogging up instantly. Your fingers and toes would probably go numb within a few seconds. If you spat, it might turn to an icicle before it hit the ground. It’s for this reason that I usually find myself less fit during the winter; I hate going outside when it’s this frigid, and my main method of exercise is taking walks or jogs in the beautiful outdoors. Well, for those of you like me who have a passion for exploration but want to remain comfortable and warm, Google is pairing with Panasonic and Nordic Track to bring a solution. “Why have a Museum of the Moving Image at all?” is the question that readily comes to mind before visiting the new, improved, expanded incarnation of this venerable institution in Astoria, Queens, which reopens its doors on Saturday after a $67 million face-lift that might even put Hollywood cosmeticians to shame. Yes, the fact that the Marx Brothers’ antics and Rudolph Valentino’s gaze were committed to celluloid by Paramount Pictures in this building makes a certain claim on cinematic attention. And yes, the museum’s screenings have given it much cachet with cinéastes. And sure, the making and marketing of movies are enterprises that in their importance and engrossing details deserve the kind of full-scale treatment they get here. But that would make it a museum of cinema — a very different thing. Why “moving image”? 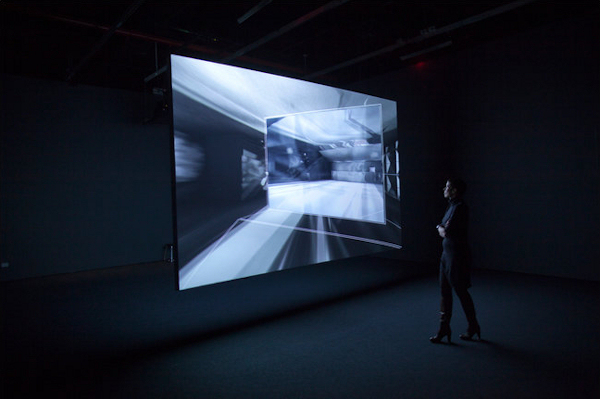 Why keep enlarging that subject the way the museum’s founding director, Rochelle Slovin, did in opening the institution in 1988, stirring television, video games, video artwork and digital imaging into the mix? And with this latest expansion of the museum’s size to nearly 100,000 square feet, its doubling of classroom facilities to host 60,000 students a year, its new 68-seat screening room and 267-seat theater (which during the next six weeks of celebrations will present newly restored film classics and contemporary movies), the institution’s wide-angle view is even more fully embraced. The museum, housed in a building owned by the city, which supplied nearly $55 million of the renovation costs, also has large public ambitions for its vision. The medium is the message! And the message was transmitted via a single distinguishable media such as television, the Web, the radio, or books. In the age of ubiquitous and pervasive computation, where the information goes through a distributed interlinked network of devices, the question “what is content in the age of ambient media?” becomes more and more of importance. Ambient media are embedded throughout the natural environment of the consumer – in his home, in his car, in restaurants, and on his mobile device. Predominant example services are smart wallpapers in homes, location based services, RFID based entertainment services for children, or intelligent homes. The distribution of the medium throughout the natural environment implies a paradigm change of how to think about content. Until recently, content was identified as single entities to information – a video stream, audio stream, TV broadcast. However, in the age of ambient media, the notion of content extends from the single entity thinking towards a plethora of sensor networks, smart devices, personalized services, media embedded in the natural environment of the user and even the World Wide Web. 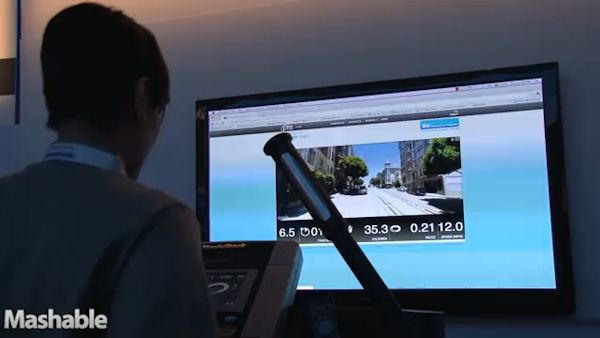 The user actively participates and co-designs media experience with his location and context based input. Initiatives as the smart Web considering location based tagging for web-pages underline this development. You’re a freshly minted high school grad strolling down the street of your small Ohio hometown, giving a nod to the village barber, your former coach and the girl next door. The next thing you know, you’re a rifle-toting soldier. And the streets you’re walking are those of Afghanistan, where you encounter people who speak Pashtu and Dari, pray five times a day, and where buzkashi is the national sport. Extreme culture shock greets many deployed soldiers, who have to tiptoe through a social minefield as they try to bond with and befriend the local natives in an effort to forge a front against insurgents. “We send our brand new soldiers who likely have never been outside the United States to a different country and expect them to interact with the populace. That’s not realistic,” said Julie Skipper, Ph.D., of the Wright State Research Institute. Interactive Digital Storytelling (IDS) has enjoyed much interest within both academic research and industry, especially in the gaming sector. IDS aims at an intensified experience and increased meaningfulness of story in simulated computer-generated story worlds and interactive applications, for example through dynamic adaptation of the story flow and of virtual actors’ behaviors to user inputs and the unfolding of the events. 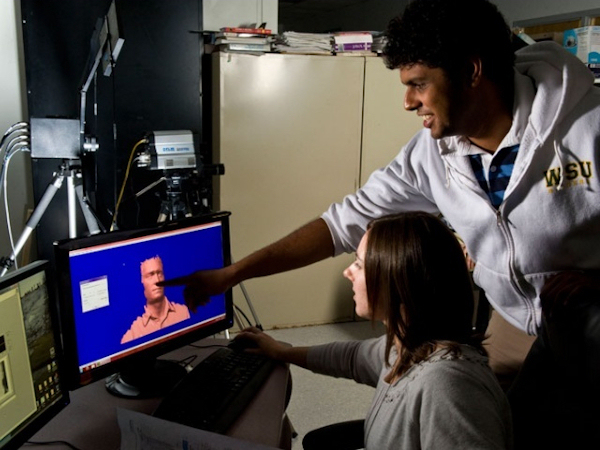 IDS draws on a number of fields, such as storytelling, theory of gaming and game technologies, virtual reality, mobile computing, the arts, artificial intelligence, drama theory, and human-computer interaction. IDS has already been applied successfully to edutainment and related interactive digital applications. In particular, IDS has proved effective in the extremely hot area of soft skill learning and experience based learning in general. At the same time, many opportunities to materialize the potential of meaningful narrative experience in private and societal contexts remain to be discovered. The next time you gaze deep into someone’s eyes, you might be shocked at what you see: tiny circuits ringing their irises, their pupils dancing with pinpricks of light. 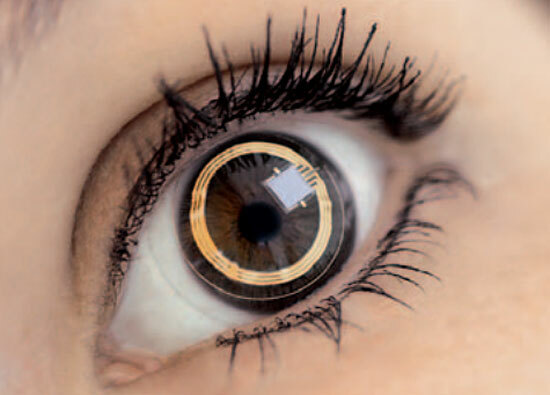 These smart contact lenses aren’t intended to improve vision. Instead, they will monitor blood sugar levels in people with diabetes or look for signs of glaucoma. 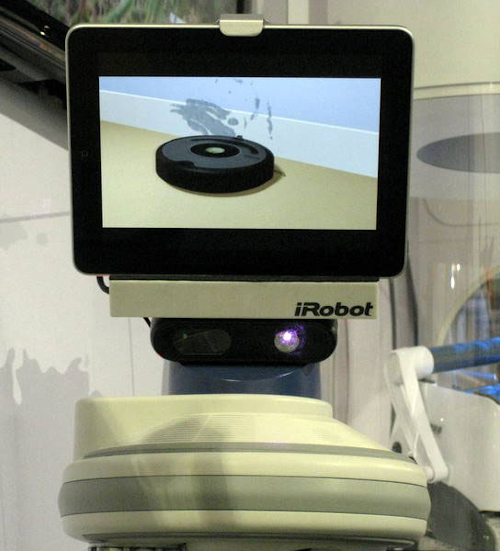 A new telepresence robot combines mobility smarts, location awareness and even apps.